South African Astronomical Observatory (SAAO) is the national centre for optical and infrared astronomy in South Africa. It was established in 1972. The observatory is run by the National Research Foundation of South Africa. The facility's function is to conduct research in astronomy and astrophysics. The primary telescopes are located in Sutherland, which is 370 kilometres (230 mi) from Observatory, Cape Town, where the headquarters is located. The University of Cape Town (UCT) is a public research university located in Cape Town in the Western Cape province of South Africa. UCT was founded in 1829 as the South African College making it the oldest higher education institute in South Africa. It is jointly the oldest university in South Africa and the oldest extant university in Sub-Saharan Africa alongside Stellenbosch University which received full university status on the same day in 1918. The Milky Way is the galaxy that contains our Solar System. The name describes the galaxy's appearance from Earth: a hazy band of light seen in the night sky formed from stars that cannot be individually distinguished by the naked eye. The term Milky Way is a translation of the Latin via lactea, from the Greek γαλαξίας κύκλος. From Earth, the Milky Way appears as a band because its disk-shaped structure is viewed from within. Galileo Galilei first resolved the band of light into individual stars with his telescope in 1610. Until the early 1920s, most astronomers thought that the Milky Way contained all the stars in the Universe. Following the 1920 Great Debate between the astronomers Harlow Shapley and Heber Curtis, observations by Edwin Hubble showed that the Milky Way is just one of many galaxies. The Milky Way is a barred spiral galaxy with a diameter between 150,000 and 200,000 light-years (ly). It is estimated to contain 100–400 billion stars and more than 100 billion planets. The Solar System is located at a radius of 26,490 light-years from the Galactic Center, on the inner edge of the Orion Arm, one of the spiral-shaped concentrations of gas and dust. The stars in the innermost 10,000 light-years form a bulge and one or more bars that radiate from the bulge. The galactic center is an intense radio source known as Sagittarius A*, assumed to be a supermassive black hole of 4.100 million solar masses. The cosmic distance ladder is the succession of methods by which astronomers determine the distances to celestial objects. A real direct distance measurement of an astronomical object is possible only for those objects that are "close enough" to Earth. The techniques for determining distances to more distant objects are all based on various measured correlations between methods that work at close distances and methods that work at larger distances. Several methods rely on a standard candle, which is an astronomical object that has a known luminosity. Gerhard Heinrich Friedrich Otto Julius Herzberg, was a German-Canadian pioneering physicist and physical chemist, who won the Nobel Prize for Chemistry in 1971, "for his contributions to the knowledge of electronic structure and geometry of molecules, particularly free radicals". Herzberg's main work concerned atomic and molecular spectroscopy. He is well known for using these techniques that determine the structures of diatomic and polyatomic molecules, including free radicals which are difficult to investigate in any other way, and for the chemical analysis of astronomical objects. Herzberg served as Chancellor of Carleton University in Ottawa, Ontario, Canada from 1973 to 1980. The National Research Council is the primary national research and technology organization (RTO) of the Government of Canada, in science and technology research and development. The Minister of Innovation, Science, and Economic Development is responsible for the National Research Council. The transformation of the NRC into an RTO that focuses on "business-led research" was part of the federal government's Economic Action Plan. On 7 May 2013, the NRC launched its new "business approach" in which it offered four business lines: strategic research and development, technical services, management of science and technology infrastructure and NRC-Industrial Research Assistance Program (IRAP). With these services, NRC intended to shorten the gap between early stage research and development and commercialization. At one point, NRC had over 30 approved programs. Ottawa is the capital city of Canada. It stands on the south bank of the Ottawa River in the eastern portion of southern Ontario. Ottawa borders Gatineau, Quebec; the two form the core of the Ottawa–Gatineau census metropolitan area (CMA) and the National Capital Region (NCR). As of 2016, Ottawa had a city population of 964,743 and a metropolitan population of 1,323,783 making it the fourth-largest city and the fifth-largest CMA in Canada. The Royal Society of South Africa is a learned society composed of eminent South African scientists and academics. The Society was granted its royal charter by King Edward VII in 1908, nearly a century after Capetonians first began to conceive of a national scholarly society. The 1877 founder and first President of the Society was Sir Bartle Frere (1815–1884). Monthly Notices of the Royal Astronomical Society (MNRAS) is a peer-reviewed scientific journal covering research in astronomy and astrophysics. It has been in continuous existence since 1827 and publishes letters and papers reporting original research in relevant fields. Despite the name, the journal is no longer monthly, nor does it carry the notices of the Royal Astronomical Society. The Large Magellanic Cloud (LMC) is a satellite galaxy of the Milky Way. At a distance of about 50 kiloparsecs, the LMC is the second- or third-closest galaxy to the Milky Way, after the Sagittarius Dwarf Spheroidal and the possible dwarf irregular galaxy known as the Canis Major Overdensity. Based on readily visible stars and a mass of approximately 10 billion solar masses, the diameter of the LMC is about 14,000 light-years (4.3 kpc), making it roughly one one-hundredth as massive as the Milky Way. This makes the LMC the fourth-largest galaxy in the Local Group, after the Andromeda Galaxy (M31), the Milky Way, and the Triangulum Galaxy (M33). S Doradus is located 160,000 light years away, and is one of the brightest stars in the Large Magellanic Cloud (LMC), a satellite of the Milky Way. It is a Luminous Blue Variable and one of the most luminous stars known, but so far away that it is invisible to the naked eye. Andrew David Thackeray, was an astronomer trained at Cambridge University. He served as director of the Radcliffe Observatory for 23 years. IC 2944, also known as the Running Chicken Nebula or the λ Centauri Nebula, is an open cluster with an associated emission nebula found in the constellation Centaurus, near the star λ Centauri. It features Bok globules, which are frequently a site of active star formation. However, no evidence for star formation has been found in any of the globules in IC 2944. R136 is the central concentration of stars in the NGC 2070 star cluster, which lies at the centre of the Tarantula Nebula in the Large Magellanic Cloud. When originally named it was an unresolved stellar object but is now known to include 72 class O and Wolf–Rayet stars within 5 parsecs of the centre of the cluster. The extreme number and concentration of young massive stars in this part of the LMC qualifies it as a starburst region. HD 95109 is a Classical Cepheid variable, a type of variable star, in the constellation Carina. Its apparent magnitude is 6.86. HD 37974 a variable B[e] hypergiant in the Large Magellanic Cloud. It is surrounded by an unexpected dust disk. 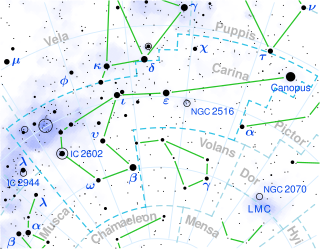 V598 Puppis is the name given to a nova in the Milky Way Galaxy. USNO-A2.0 0450-03360039, the catalog number for the star, was discovered to be much brighter than normal in X-ray emissions on October 9, 2007, by the European Space Agency's XMM-Newton telescope. 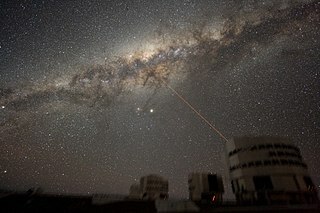 Ultimately, the star was confirmed to 600 times brighter than normal by the Magellan-Clay telescope Magellan-Clay telescope at Las Campanas Observatory in Chile. U Aquilae is a binary star system in the constellation Aquila, Located approximately 614 parsecs (2,000 ly) away from Earth. 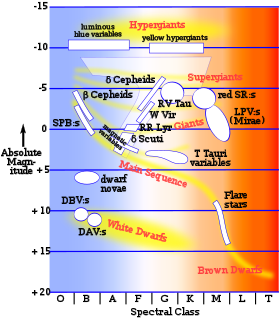 Type II Cepheids are variable stars which pulsate with periods typically between 1 and 50 days. They are population II stars: old, typically metal-poor, low mass objects. Classical Cepheids are a type of Cepheid variable star. They are population I variable stars that exhibit regular radial pulsations with periods of a few days to a few weeks and visual amplitudes from a few tenths of a magnitude to about 2 magnitudes. R136a2 is a Wolf-Rayet star residing near the center of the R136, the central concentration of stars of the large NGC 2070 open cluster in the Tarantula Nebula, a massive H II region in the Large Magellanic Cloud which is a nearby satellite galaxy of the Milky Way. It has one of the highest confirmed masses and luminosities of any known star, at about 195 M☉ and 4.3 million L☉ respectively. R136a3 is a Wolf–Rayet star in R136, a massive star cluster located in Dorado. It is located near R136a1, the most massive and luminous star known. R136a3 is itself one of the most massive and most luminous stars known at 180 times more massive and 3.8 million times more luminous than the Sun. Ian Stewart Glass is an infrared astronomer and scientific historian living in Cape Town, South Africa. U Vulpeculae is a variable and binary star in the constellation Vulpecula. OGLE-LMC-CEP0227 is an eclipsing binary star, pulsating every 3.8 days. The star, in the Large Magellanic Cloud, was the first Cepheid star system found to be orbiting exactly edge on. 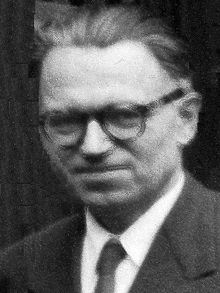 Adriaan Jan Wesselink (1909–1995) was a Dutch astronomer who worked successively in the Netherlands, South Africa and the United States. He specialised in observing and understanding the characteristics of stars, particularly variable stars. R145 is a spectroscopic binary star in the Tarantula Nebula in the Large Magellanic Cloud located in the constellation Dorado. Both components are amongst the most luminous known. R85 is a luminous blue variable located in the LH-41 OB association in the Large Magellanic Cloud. ↑ "Honorary Professor Michael W. Feast". Department of Astronomy, University of Cape Town. Retrieved March 18, 2013. ↑ Warner, Brian (1999). Warner, B., ed. Introduction. Variable Stars and Galaxies, a Symposium in Honour of Professor Michael W. Feast ..., Conference Series Vol. 30. Astronomical Society of the Pacific. ↑ Webb, Stephen (1999). Measuring the Universe: The Cosmological Distance Ladder. Springer. p. 155. ↑ Feast, Michael. On the Spectra of Gases Exhibited in the High Voltage Arc (PhD). University of London. ↑ Thackeray, A.D. (1972). The Radcliffe Observatory. The Radcliffe Trust. .
↑ "South African Astronomical Observatory". Archived from the original on 2013-09-28. ↑ "Past winners of the De Beers Gold Medal". South African Institute of Physics. Retrieved March 18, 2013. ↑ Anon (1983). "Citation". Monthly Notes of the Astronomical Society of Southern Africa. 42: 16. Bibcode:1983MNSSA..42...16. ↑ "Gill Medal". Astronomical Society of South Africa. Archived from the original on May 3, 2012. Retrieved March 18, 2013. ↑ "Royal Society of SA Fellows". Royal Society of South Africa. Archived from the original on August 14, 2012. Retrieved March 18, 2013. ↑ "Honorary degrees awarded". University of Cape Town. Archived from the original on March 4, 2013. Retrieved March 18, 2013. ↑ "RAS Committee Members". RAS website. Royal Astronomical Society . Retrieved 3 September 2013. ↑ "SAO/NASA ADS Custom Query Form Mon Mar 18 14:32:27 2013". Adsabs.harvard.edu. Retrieved 2013-03-18. ↑ Feast, M.W. ; Thackeray, A.D.; Wesselink, A.J. (1960). "The Brightest Stars in the Magellanic Clouds". Monthly Notices of the Royal Astronomical Society. 121: 337–385. Bibcode:1960MNRAS.121..337F. doi:10.1093/mnras/121.4.337. ↑ Hodge, Paul (1999). Chu, Y.H. ; et al., eds. Magellanic Cloud Studies, Past and Future. New Views of the Magellanic Clouds, IAU Symposium 190. 190. IAU. pp. 3–7. ↑ Feast, M.W. ; Walker, A.R. (1987). "Cepheids as Distance Indicators". Annual Review of Astronomy and Astrophysics. Annual Reviews Inc. 25: 345–375. Bibcode:1987ARA&A..25..345F. doi:10.1146/annurev.aa.25.090187.002021. ↑ Feast, M.W. ; Catchpole, R.M. (1997). "The Cepheid period-luminosity zero-point from HIPPARCOS trigonometrical parallaxes". Monthly Notices of the Royal Astronomical Society. 286: L1. Bibcode:1997MNRAS.286L...1F. doi:10.1093/mnras/286.1.L1. ↑ "The South African Astronomical Observatory Celebrates the life of an Astronomy Giant, Professor Michael William Feast". South African Astronomical Observatory. Retrieved April 3, 2019.